If there’s one telecom operator which is giving a run to Reliance Jio, then it’s the state-run telco Bharat Sanchar Nigam Limited (BSNL). The telco has a Rs 379 prepaid tariff plan in Kerala circle offering data benefit better than Jio’s Rs 509 tariff plan. 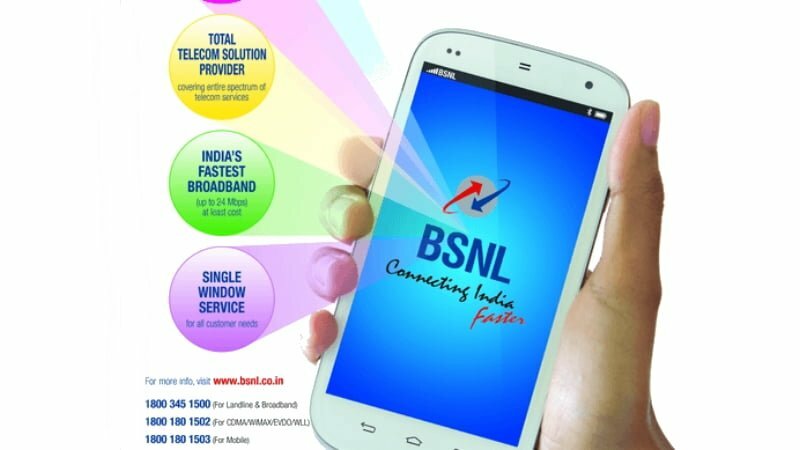 BSNL is giving 4GB data per day with its Rs 379 plan, along with other benefits such as voice calls. However, the advantage of BSNL with its plan is the low-price as compared to Jio’s plan, but benefits wise, Jio’s plan is ahead of BSNL’s plan. BSNL is offering 4GB data per day which dubs to 120GB data for the validity period because the plan is valid for 30 days, unlike the other plans with 28 days validity. Besides the data benefit, the Rs 379 plan from BSNL also offers unlimited BSNL to BSNL voice calls, however, voice calling to other networks is limited to 30 minutes per day. Lastly, BSNL is not providing any such SMS benefits with this plan. When we compare the BSNL’s Rs 379 plan with Jio’s Rs 509 plan, the latter is also offering 4GB data per day, which converts to 112GB data for the validity period as the plan is valid for 28 days. But Jio is offering unlimited voice calls without any FUP limit even on roaming, and the plan also provides 100 SMS per day for the entire validity period. BSNL’s Rs 379 plan is priced way lesser than that of Jio’s plan, but the latter’s plan justifies the higher price tag with SMS offering and unlimited roaming calls. Vodafone also has a tariff plan of Rs 549 that offers 3.5GB data per day, unlimited voice calls even on roaming but capped at 250 minutes per day & 1000 minutes per week. Vodafone is also offering 100 SMS per day with its plan. Not only with the Rs 379 plan, but BSNL also is not offering SMS benefits with most of its plans, which is a clear letdown for its subscribers. The benefits of Rs 379 plan mentioned in this article are of Kerala circle, and they might differ in other circles. After Aircel, next telecom shutting will BSNL.